What Is The Difference Between A Web Developer & A Web Designer? How Much Does A Web Developer Cost? How Do The Best Website Developers Charge Clients For Their Work? How Do I Choose A Web Developer? Top web development companies have teams of experts work together to build a custom website, app, intranet or digital platform, launch it to the public, and maintain its performance. Although web developers and web designers work together to create custom websites, they fulfill very different roles. 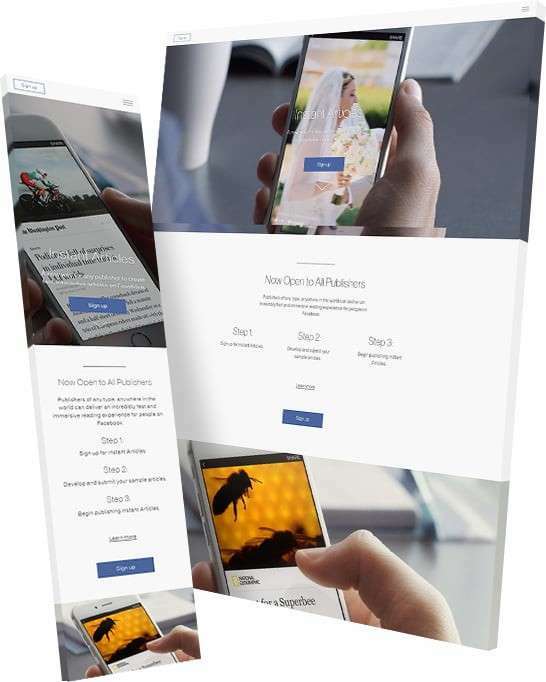 A web designer’s role is more similar to graphic design than it is to coding, as they add the aesthetic details to the wireframes as static images in programs such as photoshop. Once the designs are approved, they are sent to web developers, who then write code to build each feature and functionality. Frontend developers specialize in writing code in HTML and CSS. The code they write will be seen by your website visitors. Backend developers work in .NET, PHP opensource framework, or JAVA. They write code and connects the frontend to the database. Web development is a pricey venture that your brand needs to create a specific budget for. Using a dedicated web development agency. Incorporating a pre-made website template. The cost of a professional website varies based on your brand's needs. For example, a simple informational site will be easier to produce than a complicated eCommerce platform or in-depth service booking interface. Overall, brands should expect to pay anywhere from $100-$175 per hour per person for web developers based in the United States. However, website developers that are outside the U.S. can charge as little as $55-$75 per hour per person. There are a number of ways a website development company can charge for their services. Web development companies that charge hourly simply charge your company for every hour they work. This allows them to dedicated certain parts of the day to your project. And you can see the breakdown at the end of the day. Another way the best web development firms charge for their services is based on the results they achieve. Maintenance fees are also common for top web development firms. That’s because once a website goes live, it isn’t done. There are a number of threats to your data and your site. There are always new technologies emerging and design trends shifting. Therefore, your website needs continued support to ensure it’s running at peak efficiency. Before you can choose the best web development company to work with, you need to know what you want out of this partnership. Examining a web development agency’s portfolio enables you to understand what kind of experience they have. Look into their previous projects. Learn how they excel and where their services exceed the expected. Their past successes and failures can give you a better idea as to how they will tackle your project and achieve results. Another key ingredient to the web development mix is the content management system (CMS). Certain web builders and CMS platform provide different pros and cons. Before you hire the best web development company, thoroughly outline how much you’re willing to pay and what your budget is to ensure you and your agency can work together. 1. Who Will Be Working On Our Website & What Is Their Experience? It’s important that you take the time to learn about the web development team working on your project. Learn about their past experience, their past successes and their abilities to achieve results. 2. How Does Your Website Development Agency Discover Emerging Technologies & The Latest Trends? Trends in the digital space are constantly changing. Ask your potential web development partner how they plan ahead for changes. Learn what tools they use to stay on top of the competitive market and what insights they can draw from current predictions. 3. Who Is Our Point Of Contact & How Often Can We Expect Meetings and Updates? Every company should have a key point of contact that your team can interact with. This will usually be the project manager or team leader. In fact, 28% of people cite poor communication as the number one cause of failed project delivery. 4. How Will You Measure Results & How Often Will You Report On Them? The whole point of creating a website is to drive some type of initiative or objective. Make sure you have your goals outlined so your website development agency can plan accordingly. Find the best website developers in the agency listings table at the top of the page. Informational websites act as a resource for a visitor, informing them about companies and services without necessitating a purchase or specific action. Wordpress is, without a doubt, the most common and reliable platform for creating an informational website. The company will also help you purchase a custom URL and features templates for every price range and function. Meanwhile, Drupal boasts an open source content management system, making it an affordable and flexible option for companies that don’t want to be tied to one web development agency forever. They’ve powered a number of informational websites, including WhiteHouse.gov. 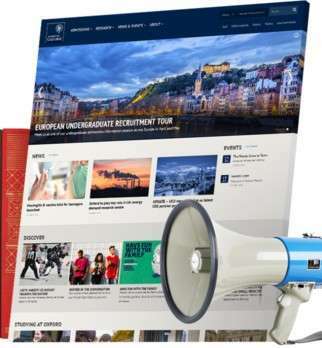 The University of Oxford originally looked to Drupal to simply “refresh” their website design. However, upon learning about the many features and benefits of the latest Drupal 7 Platform, did a larger overhaul on their digital presence. Their academic site now features more content from the university, allowing them to employ content marketing to capture potential students. E-commerce websites allow businesses to sell products and goods online. Global e-commerce sales are expected to reach $4.5 trillion by 2021, meaning a site that supports simple search and seamless checkout is worth your while. If you have a small inventory, Shopify is the perfect platform to facilitate online sales. However, if you have a larger e-commerce site, the e-commerce mega power platform Magento offers plenty of customization features that can help brands tailor the shopping experience to both visitors andbrand standards. CRM management company Salesforce also has an e-commerce platform that focuses on community building, making an online shopping experience that’s engaging for users. If you already utilize one of Salesforce’s many other platforms, integrating their social e-commerce is a great idea. 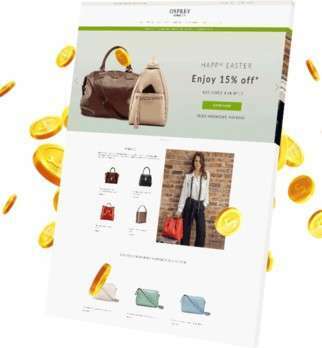 UK-based retailer OSPREY LONDON recently switched to Magento Commerce Cloud in hopes of doubling online sales. Instead, they saw a 300% increase in e-commerce revenue and now tout a whopping $16.8 million in overall sales. Blogs and magazines could be standalone sites (like The New Yorker) or add-ons to an informational or e-commerce sites (like Warby Parker). But they all exist for one reason -- to entertain and inform visitors through content. With the ever-increasing prevalence of content marketing, a focus on blog, magazine and magazine websites is growing. We already know that WordPress is a common website platform, but their host of features (such as Google Analytics support and monetization through ads) make it worth mentioning twice. WordPress can integrate into your existing site to help you implement content marketing without a total redesign. A number of well-known brands use WordPress to fuel their content -- including the entertainment magazine Variety. Their customized design doesn’t just feature articles -- it also has a credits database and prominent search. Its focus on digital has paid off, too -- the publication has consistently grown since 2012. While Facebook, Instagram and a handful of other websites dominate the social networking industry, there are plenty of other community-building websites that engage visitors and cultivate dialogue without an app or a character limit. Due to its flexibility, Drupal is an excellent web design platform to enlist if you’re hoping to create a more interactive website design. However, if you have a specific vision or particular web design features that you’d like to include, the Symfony open source framework can create the social media site of your dreams. In fact, Laravel, Drupal, and Magento (along with others) all utilize aspects of Symfony, further boosting its credibility. 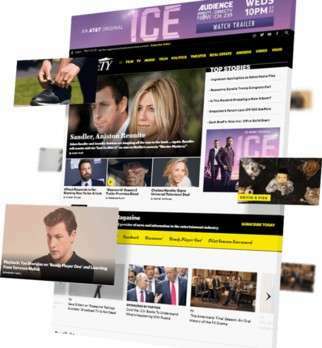 Facebook Instant Articles used Symfony components CssSelector and Yaml to create a separate interactive platform that allows companies to directly publish content to Facebook. This new subset of the social media site has capture brands such as Rodale Inc. and Gray Television, allowing them to grow readership through automated networking. Have a specific vision for your web design? A custom website design is probably for you. Although there are plenty of platforms that can help you create your dream web design, Laravel is one of the best. The catch? You’ll need someone who understands code. 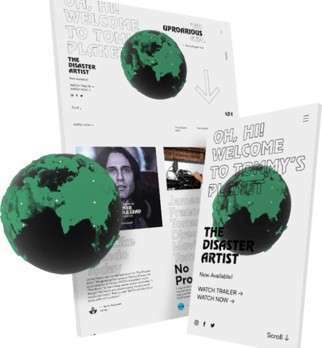 The modern, responsive website design for the movie The Disaster Artist used Laravel to design a creative website that adds an air of sophistication to the true story of a film that lacks it: The Room. The result was a site that reflects the award-winning film through an infinite scroll, compelling techno music, and creative animations. Your website is a major part of your overall brand identity. It’s how your audience interacts with you. It is also how the world and the market as a whole view your business. You need to work with a web developer that innately understands your business and can integrate key functionalities for efficient and streamlined operations. Find more top web development firms in the agency listings table at the top of the page.